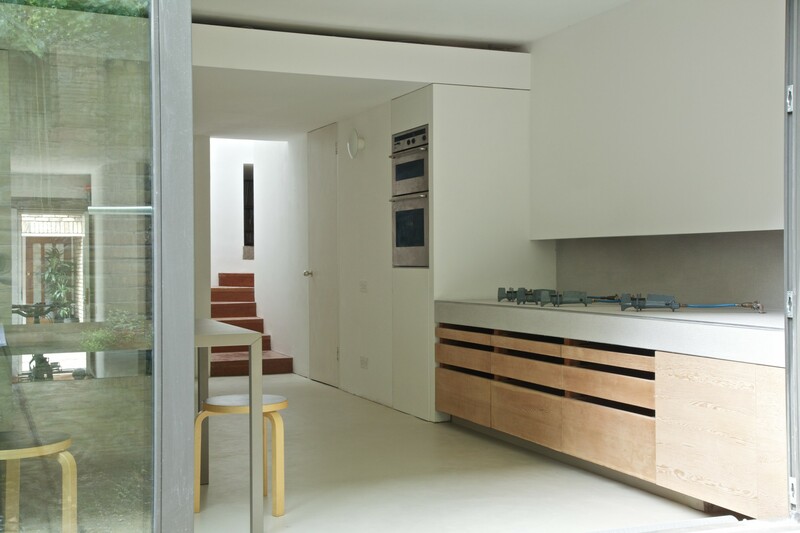 Internal restructuring of a 1960’s mews house. The house was originally designed and built for an artist, with a single bedroom to the rear at ground floor level and a north lit studio at first floor level. The main alterations have focused on reconfiguring the arrangement of rooms to suit family living and to increase light into the deep plan. 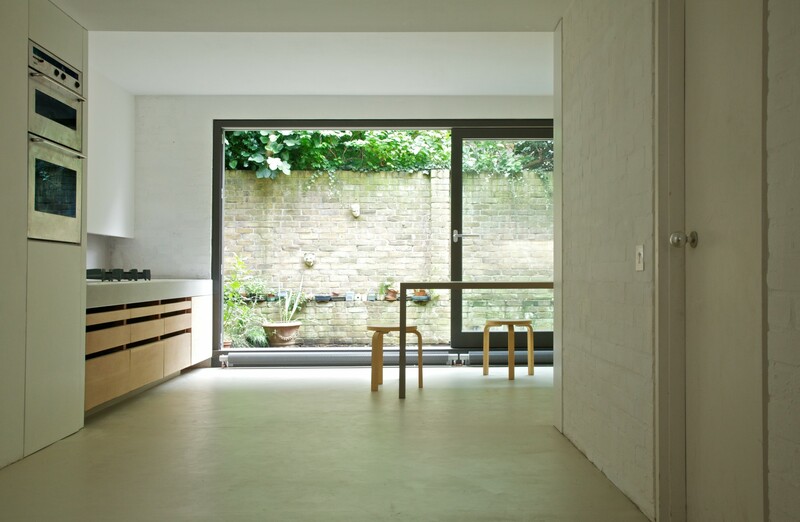 Partitions were removed at ground floor to create an open plan kitchen/dining with large sliding doors onto the rear courtyard and two bedrooms from the former studio at first floor level. 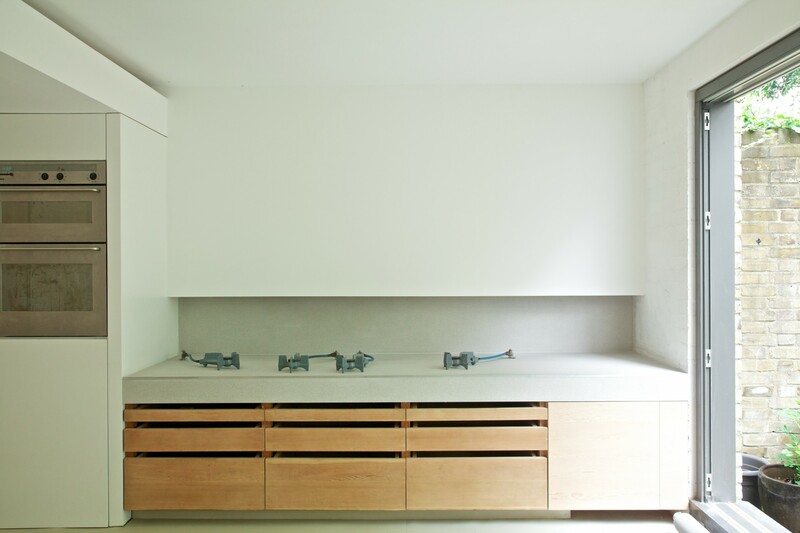 Works include new claokroom utility space with built-in joinery and a new study with pivoting external shutters. Care has been taken to preserve the textural quality and to retain (and return in some areas) clarity of the original fabric and design intent by retaining painted brickwork and general decluttering of walls of redundant electrical services. Additions and alterations have been sensitively considered to be in keeping with and sympathetic to the original design. Where possible original joinery has been restored and reused. Original solid timber (cedar wood) drawers and cupboard fronts to the kitchen have been restored. Contemporary, micro mosaic tiles have replaced the original mosaic tiles to the kitchen worktop.